Implementation of a traditional set up at centre throw ups. 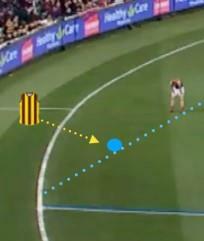 Both Clubs must now have players inside both 50 metre arcs, with one player required to be inside the goal square. Teams with less than 18 may position their players in any zone with no more than 6 in a zone, with one player from each team required to be inside the goal square at both ends. The penalty for non-compliance shall be a free kick to the opposing ruck, with the free kick being awarded at the top of their forward line goal square. Any Player(s) who deliberately breaks the starting position line prior to ball leaving the umpire’s hands at a centre throw up, will be penalised with a free kick being awarded as above. For a kick-in from a behind, a player will no longer need to kick the ball to them self to play on out of the goal square. Play-on is called when the defending player crosses any of the goal square lines. Additionally, following a behind, the player on the mark will be positioned at least 10 metres from the top of the goal square (currently five metres). 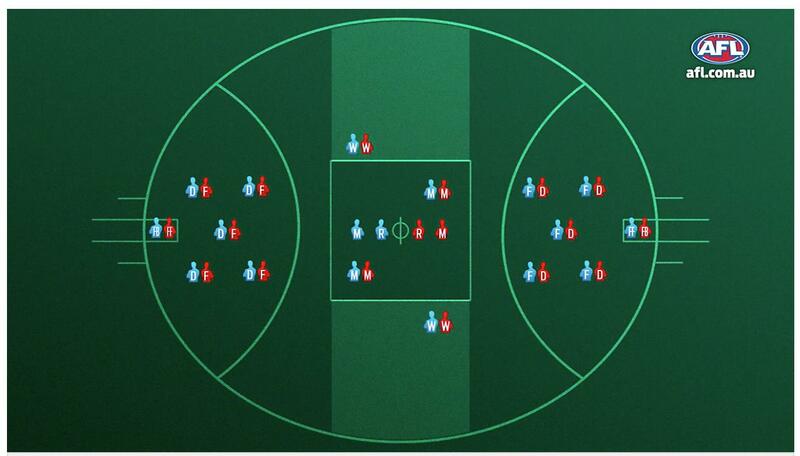 - All players must make an effort to leave the protected area after a behind is scored. - A player can bring the ball back into play from within the goal square by a legal disposal, a kick or handball from within the square or run out of the square. For all defenders who take a mark or gain a free kick within nine metres of the goal line, the player on the mark for the attacking team will be brought back in line with the top of the goal square. The player standing the mark must be positioned 9m from the goal line (the top of the goal square used as a reference). The line of the mark will come directly up the ground until in line with the kick off line. Runners are still permitted to enter the playing surface during play however must keep clear of play and vacate the playing surface immediately after their duty is complete. A free kick will be awarded if runners are not clear of play or remain on the ground unnecessarily. Water Persons must carry out their duties in accordance with EDFL By-Laws. They are only allowed to enter the field of play after a goal is scored. A free kick will be awarded if Water Persons are not clear of play or remain on the ground unnecessarily. Players will be prohibited from setting up behind the Umpire at each centre and field throw up. A free kick will be awarded against any player making contact with the umpire if an umpire can clearly see which player made or instigated the umpire contact. Free kicks may also be paid by a non-controlling field umpire. Umpires will be stricter on the infringing team who is attempting to delay the game by not allowing the player with the ball to advance to the amended mark by 50 metres. In addition, the player awarded the 50-metre penalty may elect to play on immediately, in which case the umpire will call play on. If the player does not play on immediately then the umpire will signal time on and the mark will be advanced 50 metres. 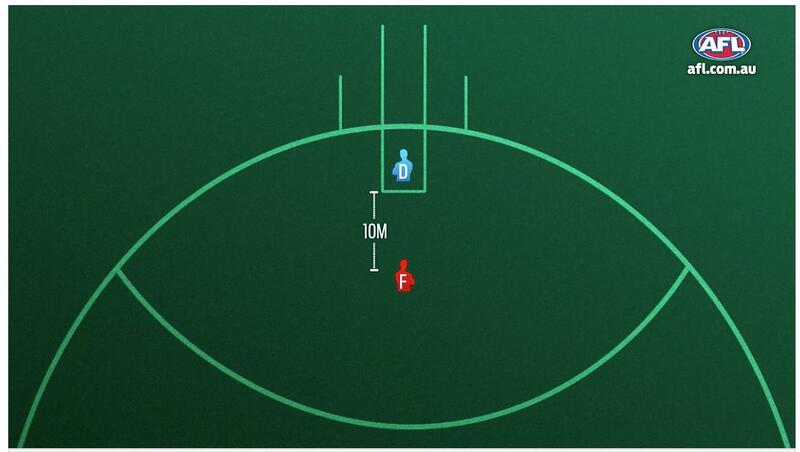 Any player can stand the mark if they do not interfere with the player receiving the 50m penalty. If the player who is awarded the 50-metre penalty is interfered with while advancing the mark a further 50 metre penalty will be awarded. This is consistent with the existing practice where an EDFL umpire has to ensure effective management of the game and player safety. Once play has ended a player who has been awarded a mark or free kick will now be able to kick across their body using a snap or check-side kick. The player shall dispose of the ball directly in line with the player on the mark and the goal. Player can initially be set up off his line but must kick the ball in line with the mark and goal. A ruck who takes possession of the ball while contesting a ball up or boundary throw in will not be regarded as having had prior opportunity. The current holding the ball rule will apply in this situation and the ruck must make a genuine attempt to dispose of the ball if tackled. Where there is uncertainty over who is the designated ruck, the ruck for each team will continue to nominate to the field Umpire. 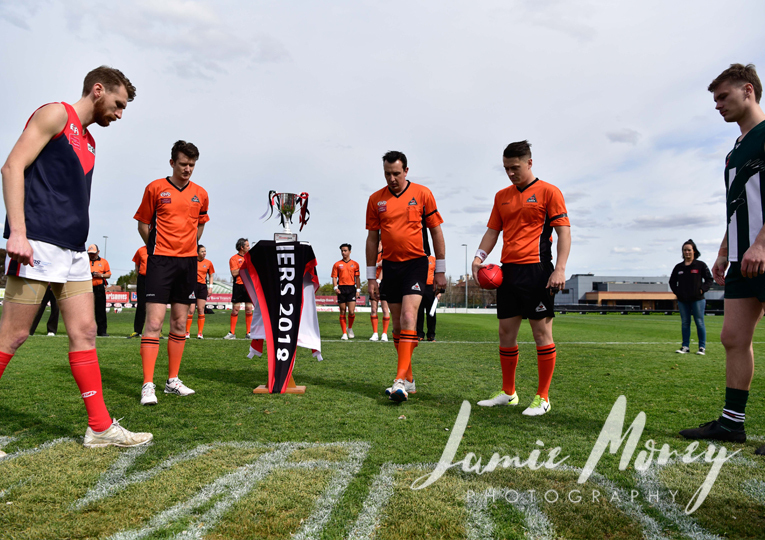 If a team is requested to nominate a ruck by the umpire, the team must do so, or a free kick will be awarded. 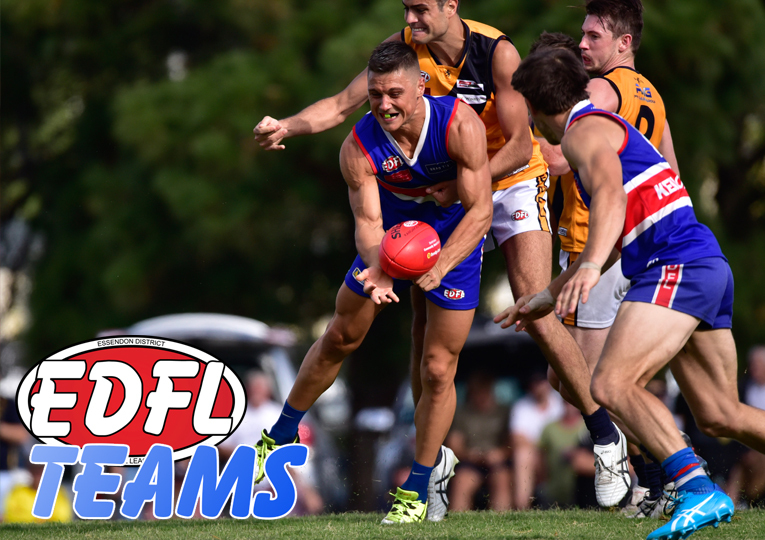 The EDFL never implemented the ‘Hands in the Back’ rule interpretation. 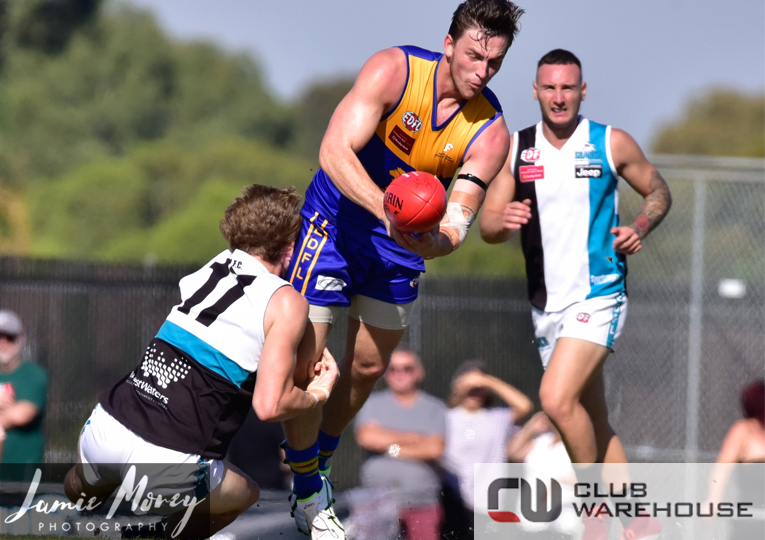 No change for Season 2019. In the Marking Contest, a player can protect space, stop a player from coming back on them by putting their hands in the opponents back. Free kicks will be paid for pushes, bumps, blocks, holds or deliberate interference with the arms of an opposition player in marking contests. 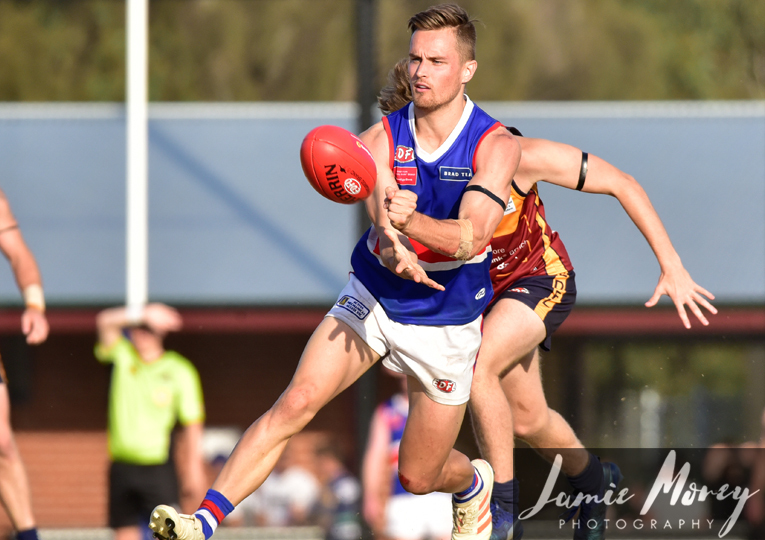 Blue Cards can be issued by field umpires in all grades of EDFL football in Season 2019.